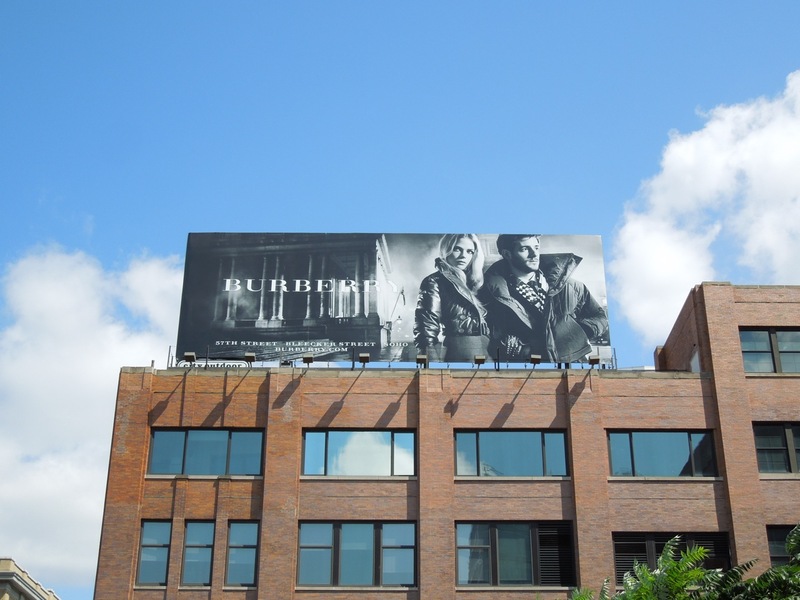 Burberry continues its trend to use hot young talent in its latest Fall/Winter ad campaign. Following in the footsteps of actor Eddie Redmayne, musician Roo Panes and actress Gabriella Wilde don some winter coats to look wonderfully fashionable, yet oddly out of place in L.A. during the Summer heatwave. 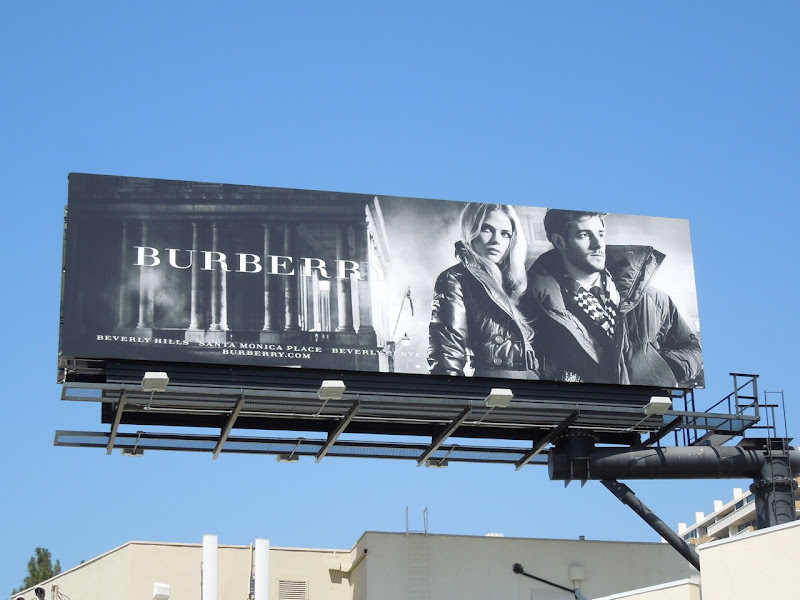 They may look fabulous, but Daily Billboard will never really understand why fashion brands insist on advertising snug and warm jackets when the temperature is over 90° most days, it must be the farthest thing from people's minds especially in a place like Los Angeles. 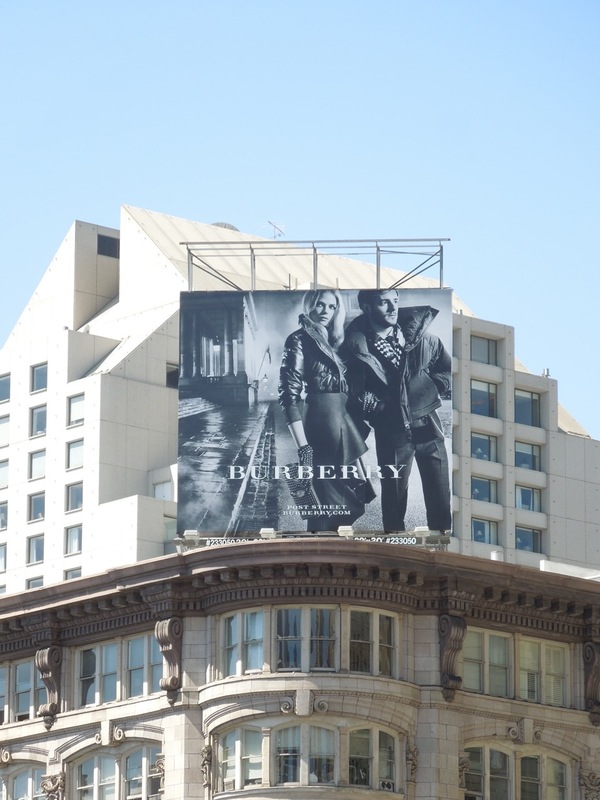 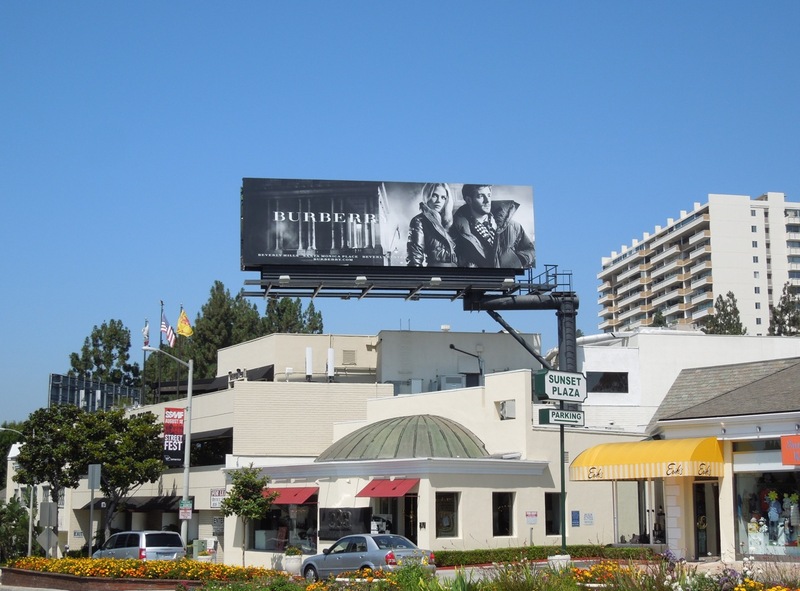 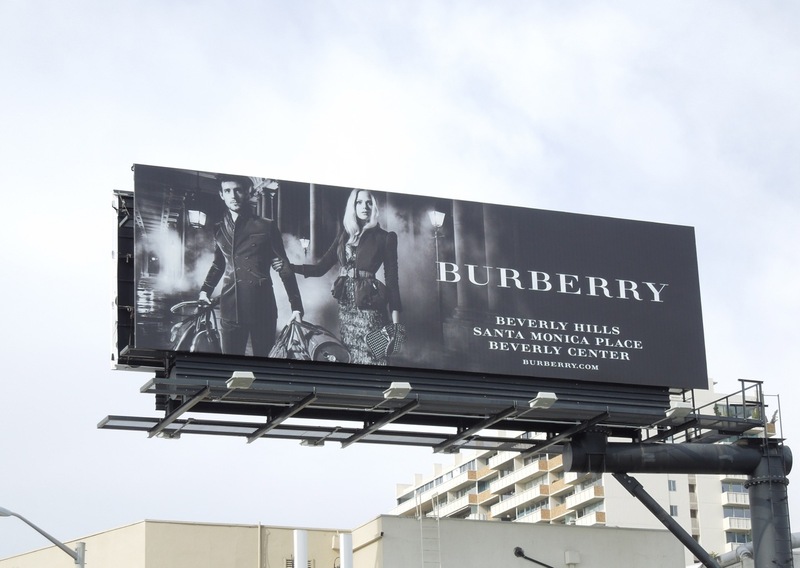 These chic mono billboards for the British luxury brand were snapped along L.A.'s Sunset Plaza on August 1, with the more portrait version spotted high above San Francisco's Union Square on July 30, 2012. 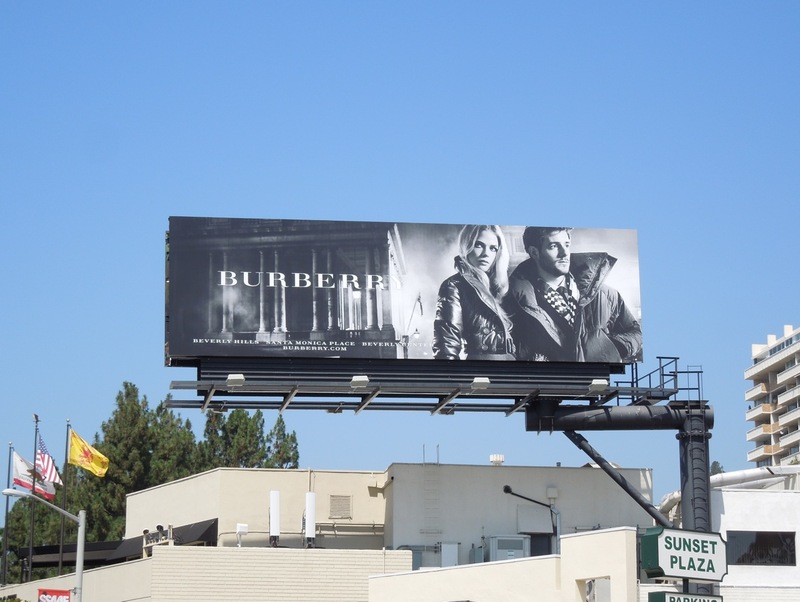 If you're a fan, be sure to check out Burberry's ads featuring Eddie Redmayne and more besides here at Daily Billboard. 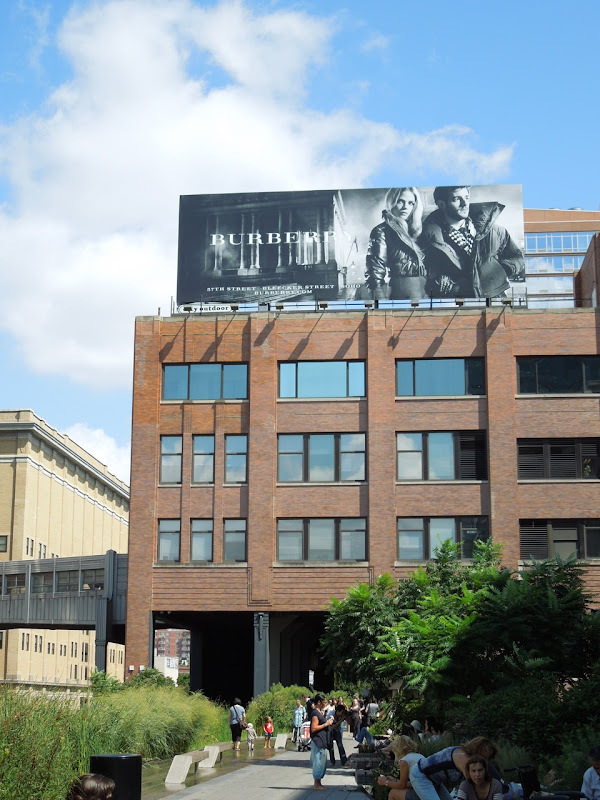 UPDATED: If you're wondering how this billboard would look in the fashionable skies of New York, be curious no longer, as here's one as seen from the High Line Park in New York City's Meatpacking District on August 28, 2012. 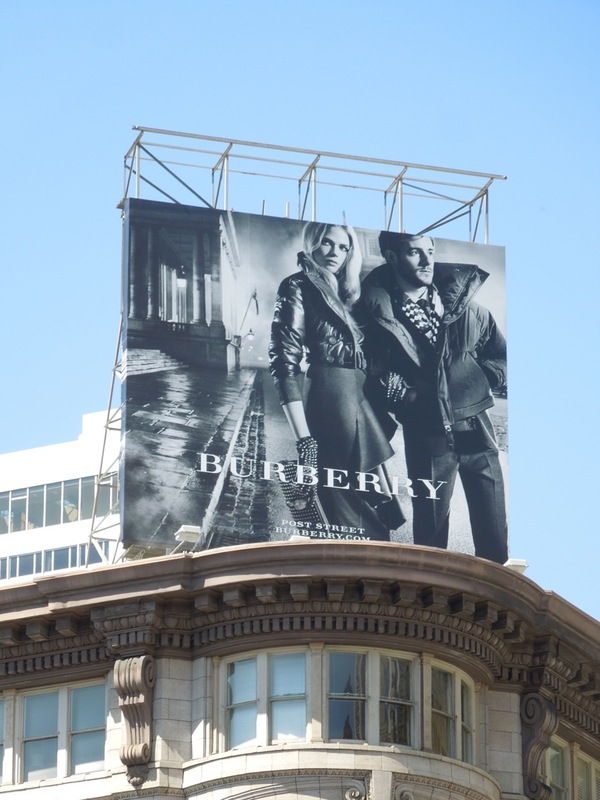 UPDATED: Here are two more creatives from Burberry's mono Fall/Winter campaign, these ones a tad dressier for the festive season. 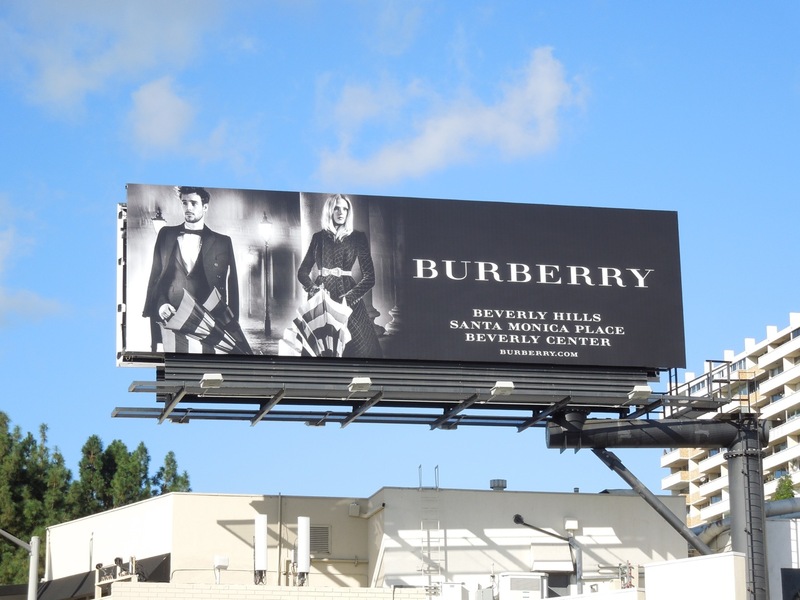 The first with the umbrellas was snapped on November 9 and the second with the Burberry bags was captured in the same location along Sunset Plaza on a gloomier December 4, 2012.